​One of the hardships of being a big and tall gamer is finding a gaming chair that fits you properly. If you’re big and tall, then you know the struggle all too well. Most modern gaming chairs are made for the average and exceptionally skinny gamers in mind. The biggest gamers are usually the ones that are often left in the dust when it comes to comfortable seating options. It’s true that there are a lot of high-end options that cater to the larger folk, but sometimes you’d need something at a lower budget. Why should the regular sized guys have all the fun? 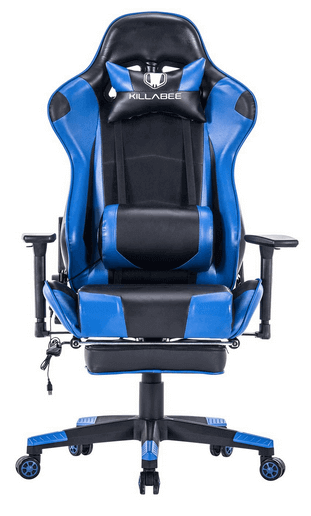 This chair delivers a great and comfortable experience at a much lower budget than other large gaming chairs, and it’s even rated to support up to 400lb of weight on a regular basis! This chair is perfect for you if your regular chairs simply don’t survive too long. We fully sympathize and understand how hard it is to find a proper fitting gaming chair for the big and tall market, which sent us on a man-hunt for the ultimate big and tall gaming chair. We wanted to make sure that not only could the chair support an ample amount of weight for overweight gamers but it allowed us to remain comfortable for the entirety of the gaming session as well. The wide surfaces and open ergonomics make this chair incredibly comfortable for both the average body-type as well an XXL body-type. We also like the way that this manufacturer has put a lot of thought in to creating a very sturdy and balanced recliner system. It’s simply great, even if you’re on the larger side. The relaxing recliner also pairs up really well with the 4D adjustable armrests, but unlike the rest of the models from its series, it lacks a massaging haptic motor. The haptic motor is sorely missed, especially when there’s already a super comfortable memory foam cushion built in to the backrest. Thankfully, after searching through hundreds and hundreds of different gaming chairs, we found the ideal gaming chair - the Killabee Big and Tall 400lb Gaming Chair. ​The KILLABEE big and tall gaming chair is a chair exclusively made for the market of overweight and tall people. The chair was designed by a company called LCH, which we don’t have a lot of experience with but they seem to be well reviewed throughout real customer reviews. The KILLABEE 400lb capable chair was designed as a highly-functional chair with strong security. On first glance, this chair offers an array of different resting positions and pillows to help put us at ease while we’re trying to relax after a hard day’s work. Highly adjustable and multi-functional. Both the height and the reclining angle of the back can be adjusted at the touch of a button. The backrest can lean back to an impressive 180 degrees while making virtually no sound at all. Padding everywhere. Whether it’s on the footrests to help comfort your feet and improve blood flow or it’s on the back padding of the chair, there are padding cushions and pillows everywhere. The chair includes a lumbar pillow, a headrest pillow, extra cushion seated padding and even padding on the footrest. Extremely resilient and thick foam. The foam material used in this gaming chair is made with high permeability material that springs back to its former self after you leave the chair, so no lasting impressions are left behind. The coated PU leather on the outside of the chair is great to protect your chair against stains and mishaps, keeping it shiny and clean. Metallic high-grade frame. The security of the chair is backed with an integrated metallic frame that helps the chair hold up to 400 lbs. in weight. The gas spring cylinder is explosion proof, so you won’t have to worry about that nightmare. Reinforced rolling castors on the wheels of the chair help to provide a super structurally safe chair. An excellent warranty is also provided by LCH. LCH allows you to return this product in 30 days with absolutely no questions asked and no run-around shady sales techniques. There’s also a 1-year warranty on replacement parts for the chair. ​For the longest time, a lot of gamers who were overweight felt left out. Most of the chairs we often review have weight limits of around 200 to 250 pounds. Which is more than accessible for a good number of gamers but what about the big and tall crowd? The Killabee big and tall 400lb gaming chair was created to let bigger gamers enjoy their gaming experience without the soreness and discomfort of lesser quality chairs. Every fine point of the chair from the pressure adjustor and even down to the rolling castors on the wheels were made with durability and precision for the big and tall gaming market. ​A 180-degree reclining backrest gives people the ease of using this chair as a multi-functional toolkit in their everyday lives from gaming to reading to sleep. You’ll get the added benefit of giving your arms a rest as you can adjust the armrests into three different locking positions. The smoothly coated castors on the wheels will protect your floor against dangerous and permanent marks you can leave while rolling around. Other gaming chairs on the market have limited weight support and a limited seating area which may be too small for the big and tall gamer. The lumbar pillow in this chair is close to 7 inches thick, which is larger than a lot of other competing gaming chairs on the market and allows for more comfort. ​This has got to be one of the best bean bag chairs I’ve ever had! This thing is seriously awesome and I’ve only had it for about a month now. When I got it, I set it up with the help of Google in a quick timeframe and I’ve been using it daily ever since. If anything, this thing has made me even lazier as it’s really hard to get up out of it sometimes and I meant that in a good way. It’s well worth the money in my opinion and I didn’t have to spend a lot to get my hands on it. I got it for somewhat cheap and it arrived on my doorstep pretty quickly, I was expecting shipping to take a bit longer than that. I had it up and going within the next hour or so and it’s been more than comfortable enough for me. ​One of the big things you need to watch out for when selecting a gaming chair is the material used in the chair. PU leather is high-quality and chairs without it should be avoided in general. Also, take note of any complaints made about the customer service of the chair to get a nice feel for the company’s reputation as a whole. If you’re a big and tall gamer, look for adjustable armrests because moveable armrests are essential for taller gamers. Beware that some companies hire people to leave fake positive reviews, something easily detectable and we never review any company’s products who engage in such a dishonorable practice. ​When you’re ready to make your purchase, the best place to get this chair is Amazon. The shipping is handled by LCH, it’s fast and highly cost-effective. When the chair arrives, it’ll weigh about 50 pounds total, with all of the parts included for assembly. Set aside 30 minutes for yourself to build this chair when it arrives. Don’t worry about a faulty purchase, because this chair comes with a 30-day money back guarantee and a 1-year replacement warranty. Do be careful when you’re assembling the chair, as the warranty program isn’t without its flaws. You’ve got to prove that it was a faulty part that caused the failure that needed the replacement and not user error in any way. The best way to make sure you’re good is to test every part after you assemble it. If something doesn’t look good, you can give their customer services a call or shoot them and email an they will set you up with a new piece after you send them a few pictures of the chair. Our verdict on the Killabee Big and Tall Gaming Chair with Footrest - Big and Tall is that it’s a stellar product that goes out of their way to support overweight and abnormally tall gamers. This is a great chair with a lot of functionality aimed at helping big and tall customers feel relaxed while they watch TV, work, game or even sleep. If you’re a big and tall gamer, your search is over. We highly recommend this gaming chair for you. 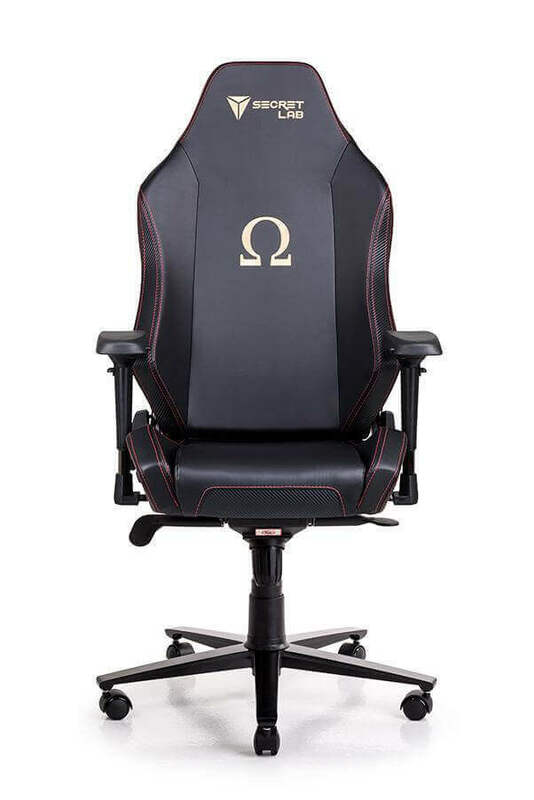 where can i buy a killabee gaming chair and what is the price try to buy from company.